URUAV recently announced two new 85mm sized micro brushless FPV drones called BUSHIDO UR85 and UR85HD. While the URUAV UR85 is equipped with a basic Caddx EOS2 camera, the UR85HD with a much versatile Caddx Turtle v2+ camera with DVR module. Another difference between these two Whoops is the motor type. 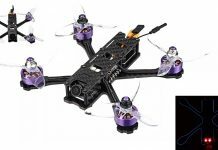 The non “HD” edition has 0805 KV12000 motors and the HD one has 1102 KV10000 motors. 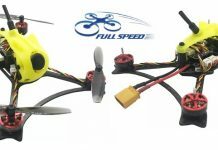 Both versions are compatible with 2s as well as with 3s LiPo batteries. Thanks to the versatile Crazybee F4 PRO V2.0 flight controller you configure the URUAV BUSHIDO 85mm with multiple flights modes. While newbies can practice on Angle mode, expert pilots can have fun with Air mode. According to your existing remote controller, you can opt for Frsky NON-EU RX, FlySky RX or DSM2/DSMX RX radio receiver.